This article describes how information technology and internet together infused organizations with huge amount of data. Consequently, accumulating, storing, understanding and analyzing data at a large scale is equally important and complex. Out of this data not all is information data, in order to extract information, one needs to discard redundant, irrelevant and unnecessary data. This article aims to introduce a data reduction technique which will be useful to discard irrelevant data. Here in data-reduction, the authors have used fuzzy-soft set techniques, namely fuzzy-soft information matrixes. 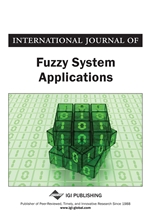 Further, they have introduced a new fuzzy-soft information measure of fuzzy-soft matrixes. In this section we describe the preliminary definitions, and results which will be required later in this paper. Zadeh (1965) commenced an extension of classical notion of a set known as fuzzy sets, fuzzy sets are the sets in which elements have degree of membership and degree of always belong to interval [0, 1]. Thus we say that a fuzzy set is a class of objects with a continuum of grades of membership. The indicator functions of classical sets are particular case of the membership functions of fuzzy sets where membership value is either 0 or 1. Thus we say that fuzzy sets are generalization of classical sets. In fuzzy set theory, classical bivalent set are usually called crisp sets.